I love sharing joy through my books and now cards. "Seek Joy, Find Beauty, Share Love" is filled with beautiful images of our natural world and meditative reflections. 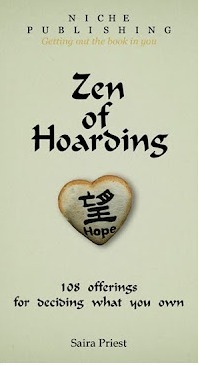 "Zen of Hoarding" provides 108 offerings to clear the space between the clutter and your calling. "If We Were . . ." is a picture book to read with your favorite child to share your beautiful relationship. Thank you for supporting an independent entrepreneur. Nature is at the heart of most of my work. When you buy my products, you are also supporting many organizations who care about and for the natural world to which I contribute. Click/tap on image for more information! Visit Saira's profile on Pinterest. ​ for you to heal, let go and live your best life! Click here to find out more.